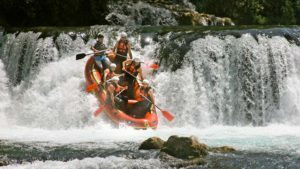 Rafting and rowing allow people to break out of traditional outdoor activities. You no longer have to rely on hiking or biking trails. Formal camping sites become a luxury rather than a necessity, and parking availability at popular parks is nearly obsolete. 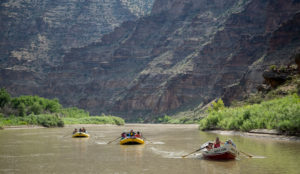 Rafting and rowing are, arguably, the best ways to explore nature without human intervention. Get into your boat, cast off, and enjoy some of the only available untouched pieces of nature—wild-running rivers, large, placid lakes, and idyllic ponds. If you’re on a multi-day rafting trip, you’ll experience this for yourself. Unless you’re out with a guide, you’ll begin to look for shelter when you and your group gets tired. Find a good spot, pull over, pull up your raft, and set up your tent. That’s all there is to it. The Forest Service calls it dispersed camping, and it’s really cool. However, when camping on multi-day trips, you should keep a few factors in mind. Keep away from trailheads and specially-designated zones, such as near critical wildlife habitats. These areas will be clearly marked, as will highly-protected Wilderness Area. Additionally, camping best practice says you should be at least 150 feet away from the water. Though this can be difficult in densely forested rivers, do your best to sleep as far from the river as possible. At the very least, pitch your fire 150 feet from the water. Dispersed camping will also come with a set of challenges. There won’t be a toilet, and there won’t be pre-arranged fire rings. Your sleeping spot will not be flat, and you’ll need to carefully monitor your fire. Finally, understand that dispersed camping will turn up the danger scale by a few notches. Before turning in for the night, look for dead tree limbs or those that might crash down in the wind. Estimate where rain water might flow, and steer clear of bears, snakes, deer, rodents… pretty much every animal. 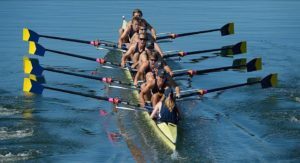 However, don’t let these dangers dissuade you from this type of outdoor experience, especially if you’re already a fan of rafting and rowing. Dispersed camping is truly special and something every nature-lover should experience.